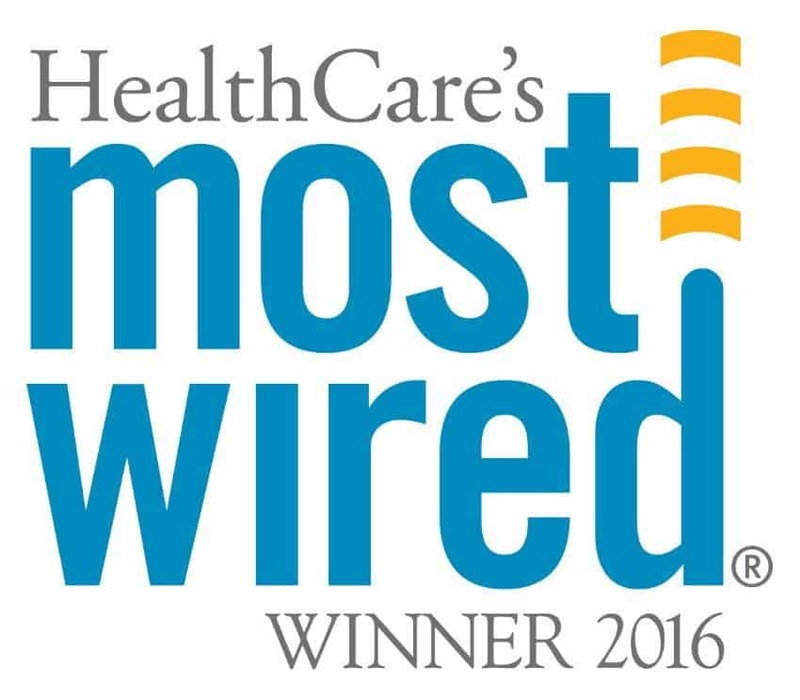 July 20, 2016 | July 20, 2016 | UAMS Medical Center recently won the Most Wired Award for the second year in a row from the American Hospital Association Health Forum. The hospital, part of the University of Arkansas for Medical Sciences (UAMS), has won the distinction nine times. It is one of only two hospitals in Arkansas to earn the honor for 2016. Stone County Medical Center in Mountain View received the award for Most Wired – Small and Rural. The survey included 680 participants representing an estimated 2,146 hospitals — more than 34 percent of all hospitals in the United States. Piloting e-visits through the patient portal. Moving to a single patient bill. Enhancing mobile functions so busy clinicians can be more productive. Introducing Service Line Balanced Scorecards to measure patient- and family-centered care improvements. Roxane Townsend, M.D., UAMS Medical Center CEO, said staff and patients alike benefit when a hospital is wired. According to the survey, conducted between January and March 2016, Most Wired hospitals are using telehealth to fill gaps in care; provide services 24 hours a day, seven days a week; and expand access to medical specialists. In redefining the way that they provide care in their communities, Most Wired hospitals are using technology to build patient engagement with the individual’s lifestyle in mind, which includes electronic access to their care team. Most Wired hospitals are utilizing population health management tools and partnering with other health care providers to share critical clinical information used in analyzing interventions aimed at key patient groups, such as those with diabetes. To get patients the right care, hospitals are using predictive modeling to eliminate preventable problems. As they build out new capabilities, hospitals are also taking strong actions to ensure health data is secure. HealthCare’s Most Wired® survey is published annually by Health & Hospitals Networks (H&HN). For a full list of winners, visit www.hhnmag.com.